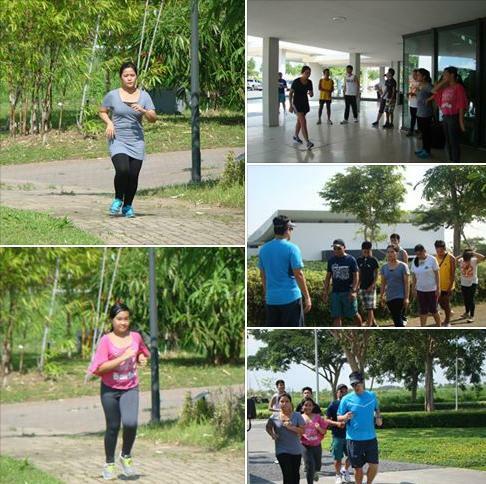 Earlier today, Nuvali held its ChiRunning clinic with Coach Lit Onrubia. 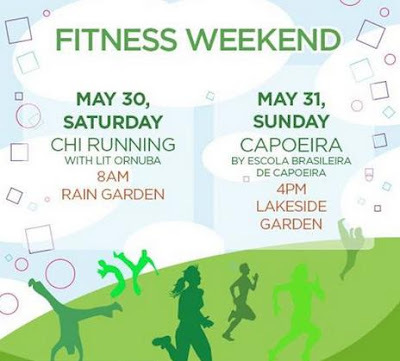 Lit Onrubia is the Philippines’ first and only certified Chi Running instructor and a resident coach of RUNNR Specialty Store. Influenced by t'ai chi, ChiRunning is a quasi-yoga-based style of running that focuses on posture, leg swing, the position of the pelvis and forward lean. It is said to emphasize posture, core strength, relaxed legs, and mindfulness, by aapplying the principles of t'ai chi to focus on alignment, relaxation and proper form in running and walking. ChiRunning is a groundbreaking program developed in 1999 by from ultra-marathoner and running coach, Danny Dreyer. It teaches one about proper body position and alignment. By making adjustments throughout the run to stay relaxed and move efficiently, ChiRunning transforms running from a high-injury sport to a body-friendly, injury-free fitness activity. Employing the deep power reserves in the core muscles helps one to run faster and farther with less effort, and to heal injuries for runners regardless of fitness level. The result is a personalized exercise program for a seasoned marathoner or for someone you has never run a step. This Fitness Weekend is brought to you by Nuvali. Do visit http://nuvali.ph/ for related events and upcoming promotions.